Musgrave, 96, was an adjunct professor of economics at the University of California, Santa Cruz, and professor emeritus of economics at Harvard University. His wife, Peggy Boswell Musgrave, said Musgrave died of natural causes. A staunch believer that government can play a positive and constructive role in society, Musgrave also believed deeply that economists can contribute to making government work well, thereby contributing to a better society. His work on public finance has been described as his "attempt to marry the theory and practice of good government." "Richard Musgrave transformed economics in the 1950s and 1960s from a descriptive and institutional subject to one that used the tools of microeconomics and Keynesian macroeconomics to understand the effects of taxes," says Martin Feldstein, George F. Baker Professor of Economics at Harvard and president of the National Bureau of Economic Research. "Richard Musgrave was a giant - a towering figure who transformed the field of public economics," adds David M. Cutler, Otto Eckstein Professor of Applied Economics and dean for the social sciences in Harvard's Faculty of Arts and Sciences. An academic economist for the last 60 years, Musgrave mixed his university work with a wide range of public service and consultation. Starting in the 1940s, he advised governments in Colombia, Chile, Myanmar, Japan, Puerto Rico, South Korea, and Taiwan on taxation and fiscal policy, and led tax reform commissions in Colombia and Bolivia. Similarly, domestic agencies and congressional committees repeatedly sought Musgrave's advice on public finance policy questions. He worked with or as a consultant to the Board of Governors of the Federal Reserve, the U.S. Treasury, the President's Council of Economic Advisers, the Department of Housing and Urban Development, and the World Bank. Musgrave described the setting of tax policy as a delicate orchestration of factors including employment, inflation, economic growth, and the fair distribution of the tax burden - with the latter generally assigned outsize importance, in Musgrave's view. "Clearly, tax policy is not simply a matter of raising revenue in an equitable fashion," he and his wife, then an economist at the University of California, Berkeley, wrote in the Boston Globe in 1978. "The entire performance of the economy must be allowed for as well, though this should be done with least damage to the fairness of the tax system." Two of Musgrave's books became classics in their field: The Theory of Public Finance: A Study in Public Economy (1958) and Public Finance in Theory and Practice, coauthored with Peggy Musgrave (1973). "Intelligent conduct of government is at the heart of democracy," Musgrave wrote in the introduction to The Theory of Public Finance. "It requires an understanding of the economic relations involved; and the economist, by aiding in this understanding, may hope to contribute to a better society. This is why the field of public finance has seemed of particular interest to me; and this is why my interest in the field has been motivated by a search for the good society, no less than by scientific curiosity." The Theory of Public Finance transformed the study of public finance to a discipline in which questions are analyzed in general equilibrium terms, where changes in tax policy take into account the resulting changes in the economy. 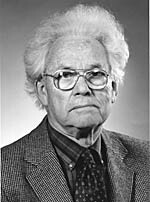 Musgrave's many intellectual contributions included studies on tax incidence, tax progressivity, public goods, fiscal federalism, the effects of taxation on risk taking, and the role of fiscal policy in stabilizing the economy. Musgrave's influence endured throughout his lengthy career. In 1998, he was invited by the University of Munich to join his "archrival" in the study of political economy, James M. Buchanan, in a five-day debate. The results were published in 1999 as Public Finance and Public Choice: Two Contrasting Visions of the State. "Two towering pillars of 20th-century public economics examine the deep foundations of their own thought and their common subject," economist Robert M. Solow of the Massachusetts Institute of Technology wrote of the work. "Who could resist the chance to eavesdrop on their reflections? Certainly not anyone who cares about the role of government in modern society." Born Dec. 14, 1910, in Koenigstein, Germany, Richard Abel Musgrave studied at the University of Munich, Exeter College, and the University of Heidelberg, where he received his Diplom Volkswirt (the equivalent of a bachelor's degree) in 1933. He continued his studies at the University of Rochester and at Harvard, where he received an A.M. degree in 1936 and a Ph.D. in 1937. Musgrave was an instructor in economics at Harvard until 1941, when he became an economist at the Federal Reserve Board of Governors, a position he held until 1947. He taught economics at Swarthmore College from 1947 to 1948, following which he was an economics professor at the University of Michigan from 1948 to 1958; at Johns Hopkins University from 1958 to 1961; and at Princeton University from 1962 to 1965. In 1965 Musgrave joined Harvard as professor of economics in the Faculty of Arts and Sciences and at Harvard Law School. He was named H. H. Burbank Professor of Economics in 1969, when he also became chair of Harvard's standing committee on Afro-American studies. In 1981 he was named professor emeritus at Harvard and became an adjunct professor at the University of California, Santa Cruz, remaining affiliated with that campus through 2004. Among his numerous awards and honors, Musgrave was a Fulbright professor in Germany in 1956 and held a Guggenheim Fellowship in 1959. He was named honorary president of the International Institute of Public Finance in 1978, the same year he was elected a Distinguished Fellow of the American Economics Association. He received the Frank E. Seidman Distinguished Award in Political Economy in 1981. In 1983, 50 years to the day after he received his Diplom Volkswirt, Musgrave was awarded an honorary doctorate by the University of Heidelberg, his alma mater. He was elected to the National Academy of Sciences in 1986, and in 1994, he received the Daniel M. Holland Medal from the National Tax Association. Musgrave is survived by his wife, Peggy Boswell Musgrave, and three stepchildren: Pamela Clyne of New Jersey, Roger Richmond of California, and Thomas Richmond of Colorado. He is also survived by numerous nephews and nieces, including Harry Krause, the Max L. Rowe Professor Emeritus at the University of Illinois College of Law. Details regarding a memorial service have not been finalized.